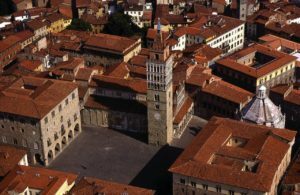 In addition to an international summit of culture ministers in Florence, a newly arrived 2017 is bringing a yearlong program of events marking the Tuscan city of Pistoia as the Italian Capital of Culture. Known for its rich historical background and surrounding greenery 2017 will highlight Pistoia’s heritage with a new spin on things. Inviting all to participate, Pistoia will showcase art, architecture, literature, music, anthropology and more throughout the year. Events will focus largely on urban renewal and the transformation from the old to the new. A green laser ray of light will illuminate Culture Capital inauguration venues. The legendary English music artist John Mayall in concert will provide a preview of the annual summer Pistoia Blues Festival (February 23, Teatro Manzoni). The Teatro Manzoni will also host a series of concerts from January to June ranging from the Bach’s Brandenburg Concertos (March 11) to Beethoven’s 9th Symphony, which will inaugurate the anthropological festival Dialoghi sull’Uomo (May 26, 9 pm). 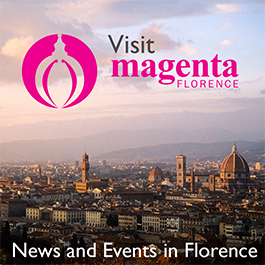 Between the two, an Opera di Firenze production of the Mozart opera Idomeneo featuring the Maggio Musicale Orchestra will take place at the theatre (April 26 & 30; May 3 & 6). There will be a special exhibition at Pistoia’s historical Palazzo Fabroni by artist Giovanni Frangi from February 5 – April 2; works will not only be presented in an artistic form but also interact with the surroundings and the audience. Fabroni will also host the impressive sculptures of Marino Marini from September 16 to January 7, 2018 before the collection moves to a temporary show at Venice’s Peggy Guggenheim foundation. Pistoia’s town hall (Palazzo Comunale) is sponsoring a retrospective on the world-renowned artist and architect Giovanni Michelucci (1891–1990). His versatile works — drawings, plans, models and sketches — will be exhibited to the public who are welcome to take part in a conference dedicated to the Michelucci to be held on the first day of the exhibition (March 25) and in various workshops scheduled throughout the year. Special visits are planned to the Gori Foundation on the Celle estate in Santomato. The sculpture garden contains installations in styles ranging from surrealism to minimalism, interactive art to traditional sculptures by prominent artists such as Alberto Burri, Daniel Buren, Jean-Michel Folon, Robert Morris, Claudio Parmiggiani, and Sol Lewitt. Pillars of cultural life in Pistoia will also be found in the town’s local libraries. The San Giorgio, a former post-industrial space will be dressed as a museum of contemporary, site-specific art that will include an installation by Anselm Kiefer. In collaboration with the US Embassy in Italy, the San Giorgio will present YouLab, in the heart of Pistoia. The new digital center aims to aid people who already have a vast knowledge of audio-video equipment improve their digital skills and to share ideas. The Forteguerriana library will present the exhibition A City of Writers (October 14 – December 17), a look at local authors spanning the medieval period (Cino da Pistoia) to the 21st century (Tizano Terzani and Francesco Guccini). A Jesuit missionary who travelled to Tibet in the early 1700s, Ippolito Desideri is considered to be the first man to begin interreligious dialogue by the Dalai Lama himself. Events, including an exhibition, are scheduled between October and December to celebrate the 300th anniversary of Desideri’s arrival in Lhasa, Tibet. Earlier, Pistoia’s plant nurseries, parks and gardens will open their doors to the public from June 11 – 17, and bike rides will be scheduled throughout the city to promote the use of energy efficient transportation.